Organized by Nepal and Housing Developer's Association (NLHDA), Department of Urban Development and Building Construction and Kathmandu Valley Development Authority, property expo in Nepal started back in 2012. The 6th Nepal Property Expo 2017 happened in April 2017 at Bhrikutimandap, Kathmandu; 120 stalls were organized featuring several designs of houses, engineering consultants, plans for land, electronic materials, etc. More than 120 stalls, domestic and international, hosted earthquake resistant housing and apartment builders, building material producers, land developers, architectural consultancies, banks, etc. Visitors are provided consultation on transport vehicles, furniture, paints, pipes, decoration, etc. by the representative of respective companies. One of the largest finance and investment show in the country, Money and Property Expo 2016 was held in Bhrikutimandap. More than 1000 real estate and financial companies had participated in this expo, where over 1,500 attendees were senior executive. The expo had aimed to illuminate the idea of new development and trends of industries, facilitating socialization with national and international experts. Nepal Land and Housing Developer's Association (NLHDA) organized the Ghar Jagga Mela 2072 (Real Estate Expo 2015) in April 2015 at Exhibition Hall, Bhrikutimandap, Kathmandu. Several exhibitors from housing and land sectors participated in the expo. In addition, housing construction product, interior designing and banking consultation was also offered in the expo. Nepal Land and Housing Developer's Association (NLHDA) organized the Ghar Jagga Mela 2014 in May of 2014, at Exhibition Hall, Bhrikuti Mandap, Kathmandu. 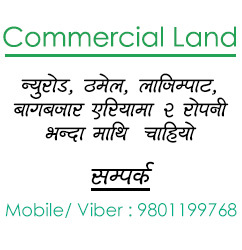 This expo provided the best opportunity for the potential customers to meet with the developers directly and gain as much as possible knowledge about properties in Nepal. Housing developers, concerned organizations, consumer and service providers, and providers of furnishing items, paints, pipes, glass, carpets, etc. participated in this expo. Presented by Civil Trade Centre, Real Estate Expo 2013 was held in Baisakh, at Exhibition Hall, Bhrikutimandap, Nepal. The expo featured construction materials, land and housing, interior decoration, Vaastu, furniture/glass, electronics and electricals, fittings and pipes, sanitary wires, banking and insurance, etc. Be it an international property expo or a domestic property expo in Nepal, MeroProperty arranges you the best platform for reaping the best benefits from property expos held in Nepal or abroad. Participating in these expos is the best way to increase your exposure with potential customers and attract them with your attractive property offer. You can exhibit about your house and land, furniture, building materials, interior designs, electricals, Vastu, banking and insurance, plumbing and sanitary, etc. You can be the next leading property dealer offering the best product to maximum customers in an expo. To participate in these expos, all you need to do is contact us with an intention to participate; and we will sort out everything for you.